EOMC was started in 2002 with the belief that a locally owned and operated medical clinic focused on the care of injured workers and their employers could provide the medical treatment and customer service that was needed for local businesses to succeed. After much deliberation, a clinic site at the Emeryville Public Market was chosen and construction started. Much to everyone’s surprise – even before the sheet rock was up – patients started arriving at our door and Dr. Gest was seeing the first patients. Reflecting the founders’ belief that care was more efficient if it occurred in a single place, under one philosophy of care: physical therapy, occupational therapy, orthopedic and hand surgery consultations were incorporated into the service offering. As California moved toward adopting a unified medical treatment utilization schedule that included other physical medicine specialties physiatry, chiropractic and acupuncture treatment was added in accordance with this schedule. Initially using pencil and paper charts and an industrial grade fax machine EOMC started growing. As growth occurred it became clear that automation was necessary to keep up with the information needs of patients, employers, and insurers. Early in 2004 at the suggestion of Dr. Patricia Hopp, EOMC started customizing an electronic medical record for its occupational medicine practice. Charts now became legible and able to be autofaxed. Doctor’s first report of injury became part of the initial charting procedure. As employers became aware of EOMC more and more started sending their employees. Some employers were small with 5-10 employees and some were much larger – as many as 7000 employees! EOMC’s focus on prompt care with an emphasis on having injured workers recover in the workplace appealed to many employers and insurers. At their request EOMC’s team expanded to Santa Cruz – operating as Santa Cruz Occupational Medical Center and Redding as Redding Occupational Medical Center. In fact over 2000 client companies have now received services at EOMC and its affiliated clinics. 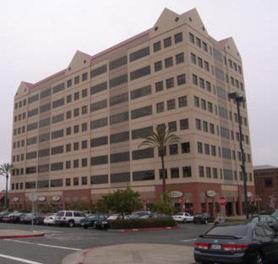 Copyright © 2010 Emeryville Occupational Medical Center, PA All Rights Reserved.